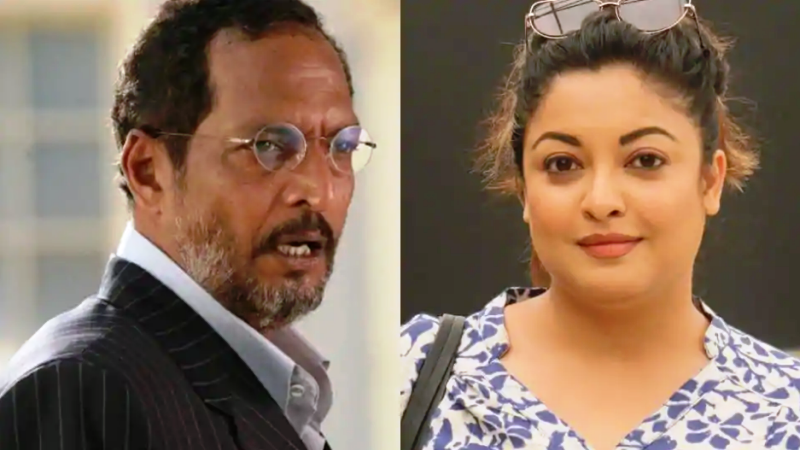 Probashbangla24 online Desk : In light of the accusations of sexual harassment levelled by actor Tanushree Dutta against him, actor Nana Patekar was to address a press conference on Monday. At the event, Patekar was expected to give his account on the allegations levelled against him. But the press conference was cancelled on Sunday; the rescheduled dates are yet to be announced. The 67-year-old star’s lawyer has sent a legal notice to Tanushree for allegedly making false accusations against him. Tanushree also received a legal notice from filmmaker Vivek Agnihotri, after accusing him of sexual misconduct and harassment.Tanushree has filed a police complaint against Nana, choreographer Ganesh Acharya and the director and producer of the 2008 film. After Tanushree Dutta publicly accused Patekar of sexual misconduct during the shooting of Horn OK Pleassss in 2008, Patekar denied the allegations and said he was falsely accused of sexual harassment. He described Tanushree’s claims a ‘lie’. Patekar, who was shooting for upcoming film Housefull 4 in Jodhpur with actors Akshay Kumar, Kriti Sanon and other, returned to Mumbai on Saturday. “I said this 10 years ago… a lie is a lie (Dus saal pehle bol chuka hoon, ab jo jhoot hai woh jhoot hai’),” Patekar told PTI at the Mumbai airport. Tanushree’s allegations have found a stronger voice 10 years later with the #MeToo and Times Up movements gaining momentum. While several Bollywood stars like Farhan Akhtar, Sonam Kapoor, Priyanka Chopra, Ayushmann Khurrana have come out in her support, veteran actor, Annu Kapoor, has made no secret of his distaste for the “media trial” of Patekar, after he was accused of sexual misconduct. Annu went on to suggest he doesn’t believe Tanushree’s allegations. “The dignity and pride of a woman has been hurt. But if this is true, then the person should be punished, be it Nana Patekar or Annu Kapoor. You bring the proof, and then the culprit should be punished. But if without any proof, you are just levelling allegations. So many questions have been raised today, and you have to answer those questions. Why this media trial? Why you are not going to the police station? This only makes me doubt your intentions,” Kapoor said on Thursday.